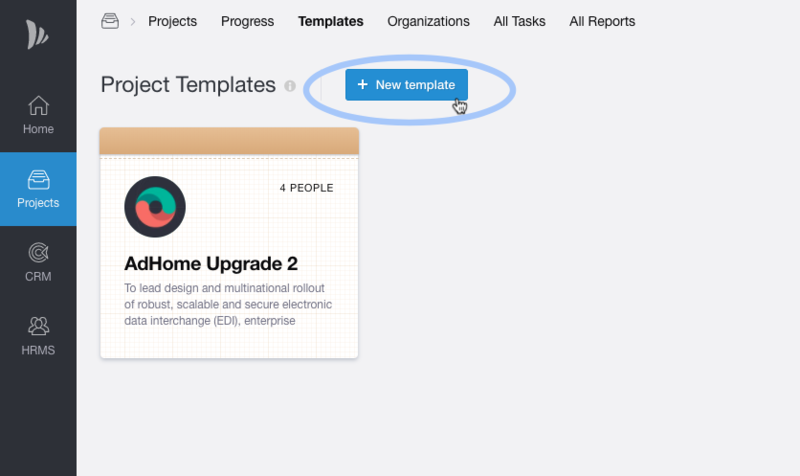 Templates provide a way to define a common structure for the projects. 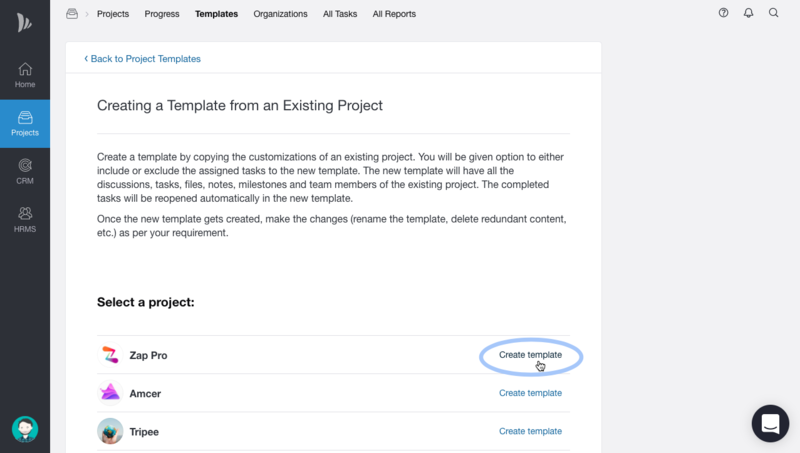 This allows employees to reproduce project structures and tasks, merely by selecting a template, instead of creating the whole project again. 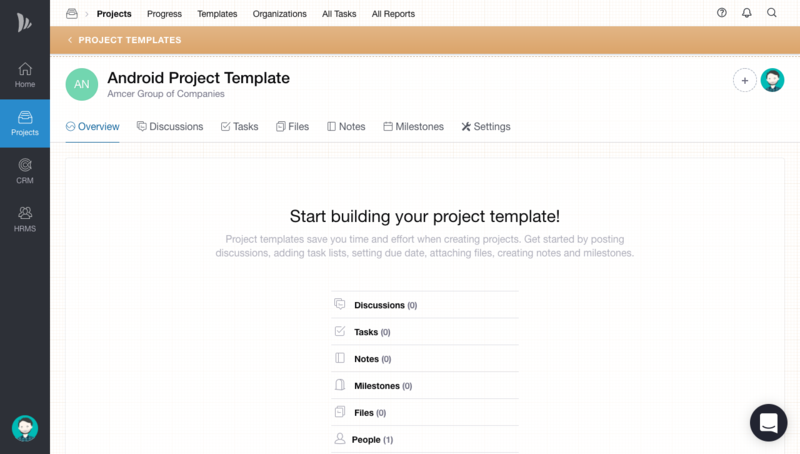 Templates include project details such as: Name, description, discussions, tasks, files, notes, milestones and team members. You can always edit the templates from that project template. 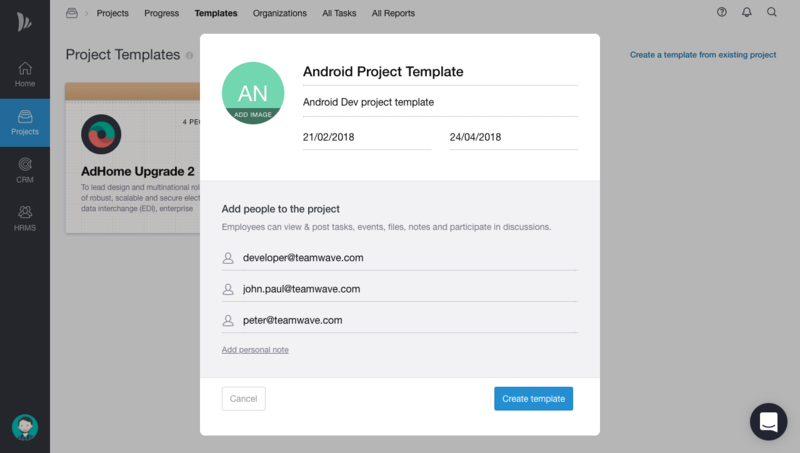 A template will be create with discussions, tasks, files, notes, milestones and team members of the existing project. The completed tasks will be reopened automatically in the new template. Whoever is the member of the Project template will only have access to that Template. Once the new template gets created, make the changes (rename the template, delete redundant content, etc.) as per your requirement.